Olive oil has gotten a nasty reputation lately, and rightfully so. It has been touted as a staple of healthy Mediterranean diets, beauty products, and even religious rituals. But as olive oil has grown in popularity and mass production has taken over, olive oil has become less pure, thereby losing its virginity. 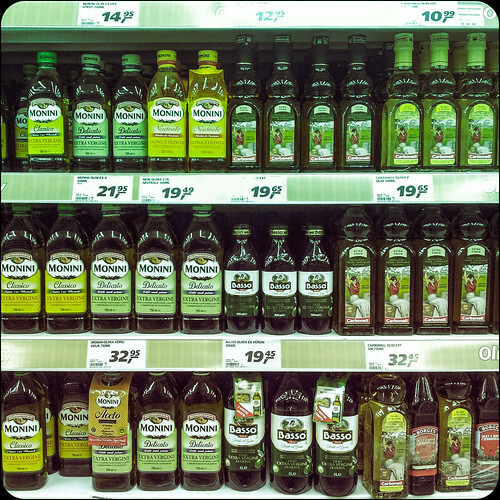 After a 2010 UC Davis study, researchers concluded that two-thirds of common “extra virgin olive oil” brands found in California grocery stores were less pure than they claimed. UC Davis conducted a broader follow-up study in 2011, which cast even more doubt on olive oil in U.S. grocery stores. In collaboration with the Australian Oils Research Laboratory, researchers found that almost three-quarters of brands failed international extra virgin standards. This is particularly disheartening for those of us who switched from vegetable oils to olive oil for the health benefits. “Extra virgin” means that the olive oil has been produced by crushed olives, but never refined by chemical solvents or high heating methods in any way. It costs a lot to produce, mill, and properly store olive oil, so many companies blend it with low-grade and low-priced products. However, impure olive oil loses the antioxidant and anti-inflammatory properties that make it a healthy food in the first place. The olive oil battle wages on, as manufacturers, businesses, and regulation groups enter the legal arena. Earlier this year, the North American Olive Oil Association sued Kangadis Food for marketing its Capatriti brand as olive oil, when it’s actually nothing more than fat from leftover olive skins and pits. Diluting olive oil with seeds and other oils,like hazelnut, maize, sunflower, peanut, sesame, soybean, rice and pumpkin, continues to be common practice. To reap the amazing benefits of true olive oil, be an informed consumer and buy from trusted sources. To learn more about U.S standards for extra virgin olive oil, check out the Olive Oil Source‘s product grade definitions and quality criteria tables. We just emailed a copy of the catalog to you. The blog tools do not allow us to send attachments.